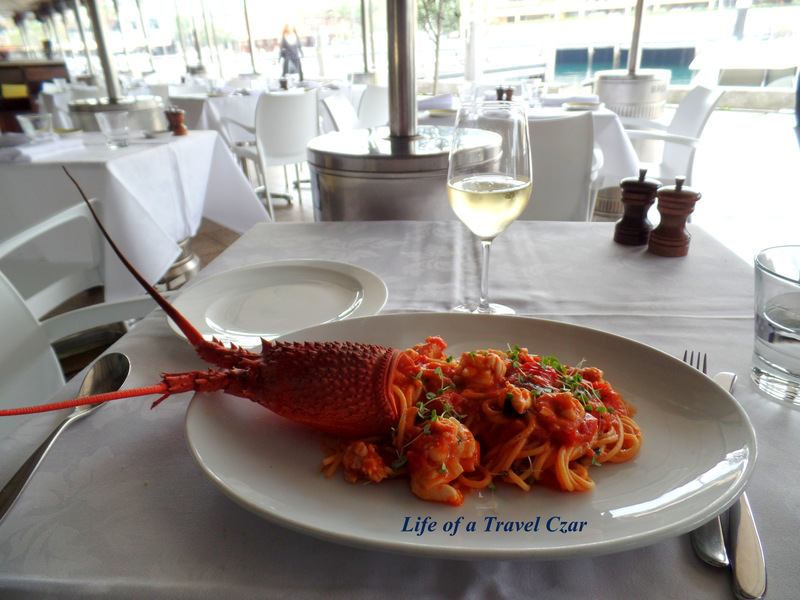 Otto Ristorante is a lovely restaurant overlooking Woolloomooloo wharf in Sydney. 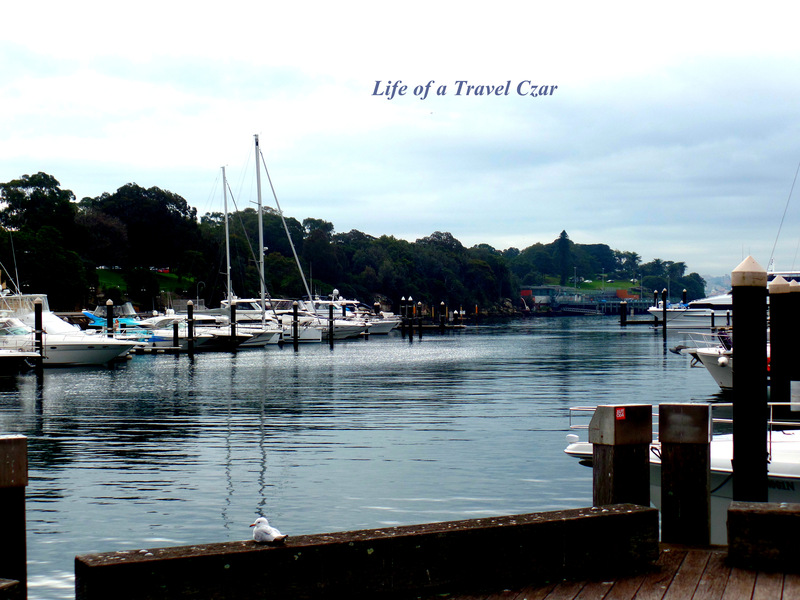 It a place of long business lunches and that special celebratory dinner – it is a Sydney institution. Otto has a special my heart, as almost ten years ago I was invited to a dinner during an internship I had with a bank. I had the most amazing dinner as a 19 year old, seated next to a Federal Finance Minister, a former NSW state premier, Chairman of an AFL club and a bunch of head honchos from their Board around the dinner table. 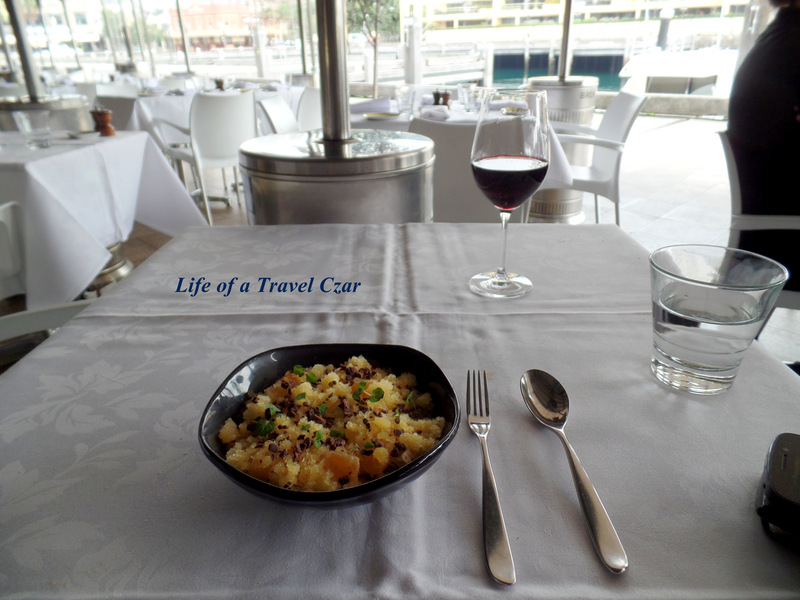 It was an incredibly overwhelming experience and its was probably first culinary dining experiences I had in Sydney. I felt so out of my depth! 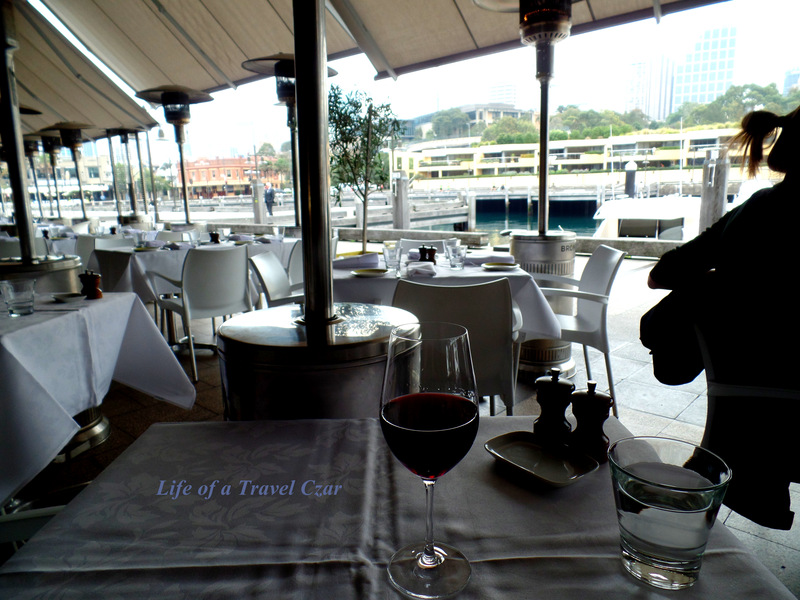 Anyway, I always fondly remember the night and lunch at Otto is such a civilised experience that one cannot say no to!. 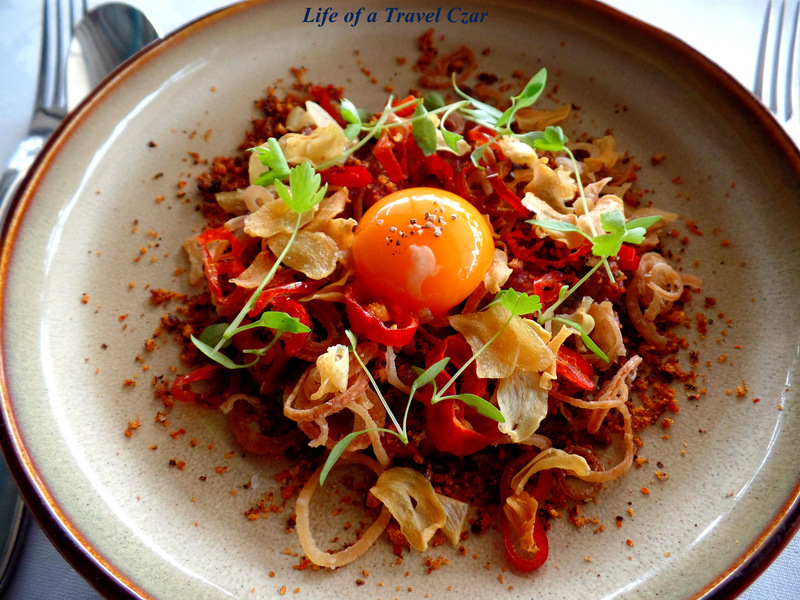 This dish is all about the little contrasts which combine to provide a lovely sensory dining experience. 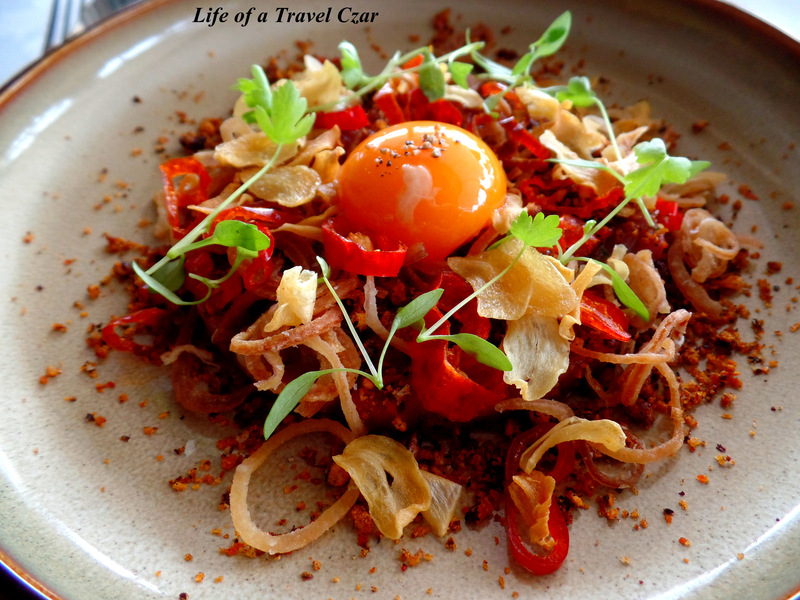 From an asthetics perspective the translucent bright yellow yolk draws your attention immediatey, the spice crumbs look like gravel on the side scattered with the wind, while the bright red chilli and golden yellow eshallots all make this dish one that commands your attention at first sight. I scramble the yolk and mix the flavours with the venison which lies underneath. The venison has the rich distinct gamey flavour with a cool jelly like texture, while the crunch of the eshallots and chilli contrast to the venison’s smooth texture. The chilli, garlic and spicy seasoning add a lovely flavour bite which is capable of standing up the flavour of venison while not overpowering it. The egg yolk with its rich, sticky, runny consistency holds it all together to ensure each mouthful is a beautiful tasting experience. The wine unleashes beautiful aromas of fresh red fruits with a bits spice at the end. Its a full-bodied wine with follow through on the palate of fresh strawberries and cherries and hints of sweet spice, mint and earthiness with good regional tannins to round out the finish. A wine which provides a good base for the entree and fresh fruit to battle the intensity of the game. To describe this dish when I first laid eyes on it would be impossible. Its like when you fall in love with that cute girl. Time stops, the words struggle flow and your thoughts, attention and focus are soley on the object of your affection. I could not even begin to cast a gaze away from this dish. 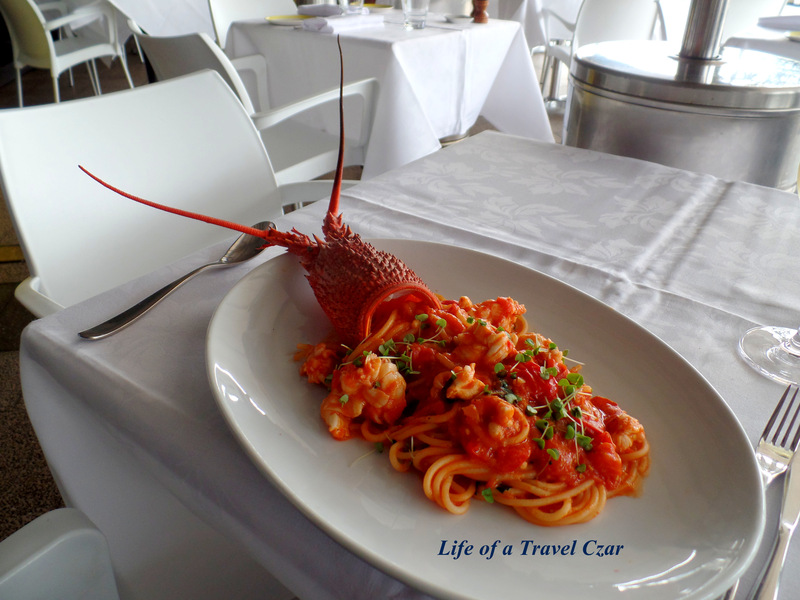 The juicy tomatoes and thick Napolitana sauce retains the residual sweeness of the brandy, the sweet plump, tender succulent crayfish meat showcases its full flavour through the sauce and is the star of this dish, while the soft wheaty spaghetti holds it all together. As I gaze out onto the water and the pure white tablecloths I savour every bite until and empty plates stares back at me signaling an end to the dining experience. This dish is a dining experience which will captivate you for every second the dish is in front of you, while leavings its impression etched in your memory forever. The wine has aromas of flint, lemons, nectarine, and grapefruit which is like a fusional aroma in many ways. The wine is medium bodied with rich fruit flavours of lemon, stone fruit and a hint of both ginger lilly and melons which is balanced by a lemony tart acidity to provide nice balance to the wine. The acid and citrus is perfect to cut through the richness of the main course and it proves to be the perfect pairing. The dish is a mix of everything, the citrus and fruit of the mandarins and granita and then the cream of the pana cotta and chocolate. 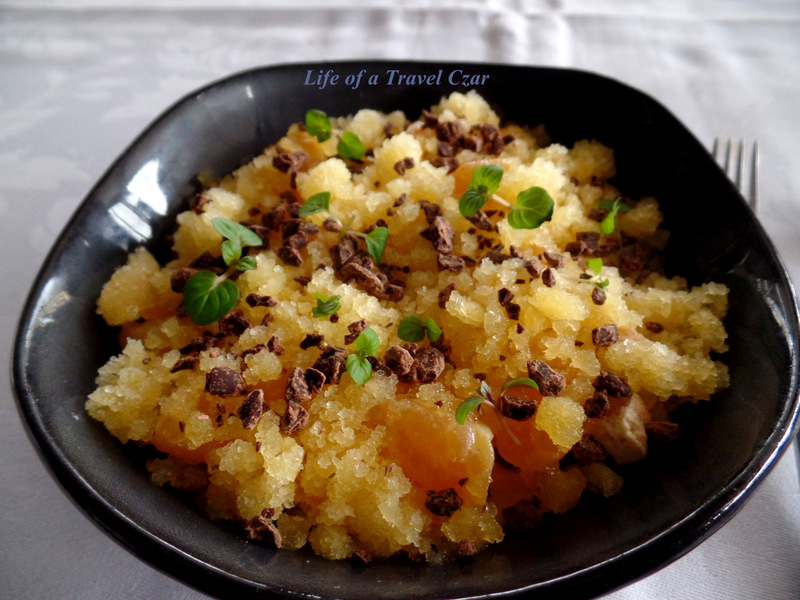 I do love the smokiness and citrus of the panna cotta, but I am probably not a fan of the orange granita or mandarins (personal taste thing and I am not a huge dessert person). The dish however engages your senses quite well, with a velvety panna cotta, cold ice of the granita, the juice of the mandarins, the crunch of the Amaretti biscuits and the cocoa from the chocoate chips. Often I skip dessert and have wine instead for my sugar hit, so I end up having another glass of the Chianti to close-off, which suits me a bit better. Overall it was truly enjoyable lunch. The food reflects fresh produce, a reasonably degree of culinary thought and effort to produce a beautiful dining experience. Both the venison and crayfish ticked the boxes of asthetics, taste, texture and creativity and the wine pairings worked well to provide an unforgettable lunch. 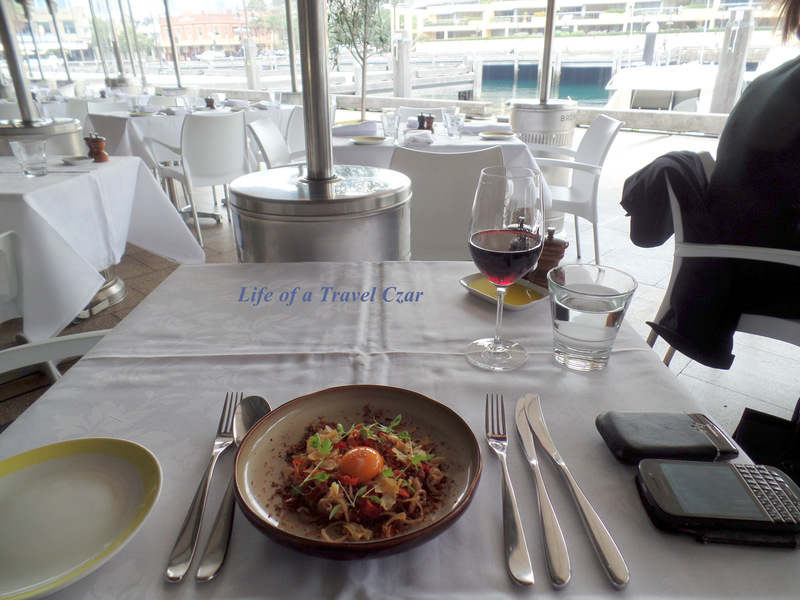 I still have the nostalgia of that dinner ten years ago and look back quite amazed at how far I have come in those years and Otto Ristorante is well and truly a Sydney institution and the one that welcomed me to the Sydney dining scene so many years ago. 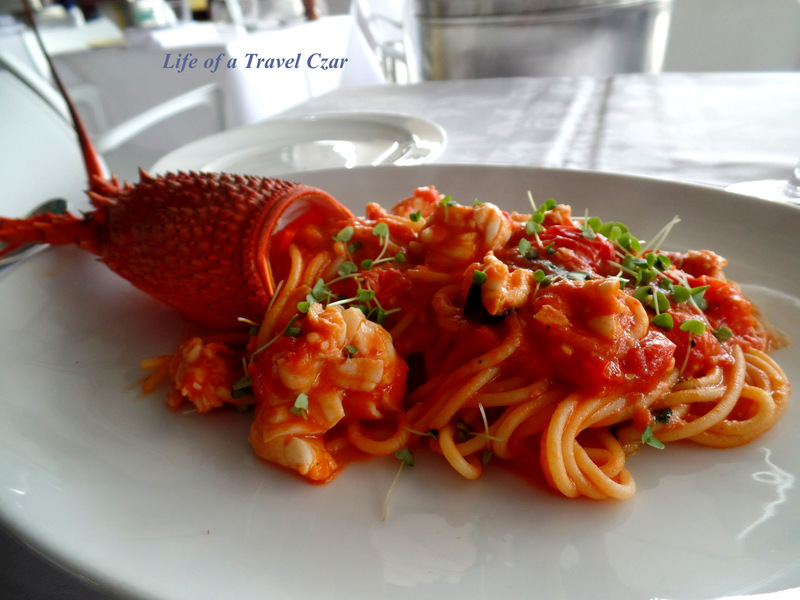 Despite costing almost twice as expensive as the other dishes in the restaurant, people must try that Spaghetti! !